Less crowding, concrete and stress; more serenity, nature and neighbors you can count on — that's why Family Circle singled out these communities as perfect places to call home. With the help of Onboard Informatics, a New York City research firm that provides real estate, demographic and other data, Family Circle initially assembled a list of 3,335 cities and towns with populations between 10,000 and 150,000. From that, nearly 1,000 localities having a high concentration of households with median incomes between $55,000 and $100,000 were selected. We then assessed which places best met our family-friendly criteria—including affordable homes, quality schools, access to health care, green space, low crime rate and financial stability—and ranked them from top to bottom. Jen Hilzinger, 45, always wanted her kids to grow up in a cosmopolitan community. 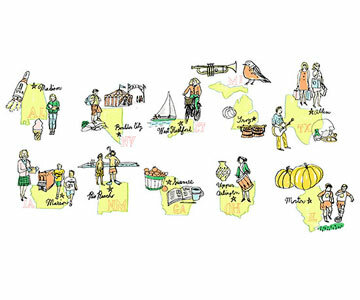 She couldn't have found a more diverse place than this Detroit suburb, where more than 80 languages are spoken. Her own household is multicultural: She and husband Glen, 45, an agency executive, have three children—Emily, 18, adopted from China, Ethan, 15, from South Korea, and Elliot, 6. A lot of their activities have an international flavor, like hosting Chinese dumpling-making parties or going to "ice cream socials" where they sample Japanese mochi. 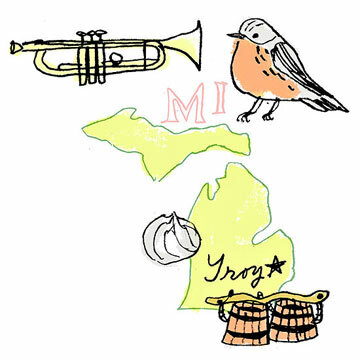 Troy's school district, with its rigorous curriculum and plentiful AP courses, is among the best in the state, feeding a steady stream of students to Michigan State and the University of Michigan. When the Hilzinger kids aren't busy with basketball and band, the family heads out to the 100-acre nature preserve, a favorite spot for hiking in summer and maple syrup tasting in winter. "We may be small," says Jen, "but we've got the whole world right here." Good Deeds: Athens High School students surpassed their goal during this year's Charity Week, raising some $40,000 for Angels of Hope, a local group that provides financial and emotional support for families of kids with cancer. It took a while for Angelica Moorhead, 44, to realize that Boulder City is as good as it gets. She and husband, William, 52, a carpenter, grew up in this Las Vegas suburb and moved away for college and work, but returned to raise kids Ryan, 17, Noah, 15, and Jordan, 13. "You live in a small town and can't wait to get out," she says. "We had to leave in order to appreciate how terrific it is." The Moorheads rave about the schools, which boast impressive test scores and encourage a genuine partnership between parents and teachers. 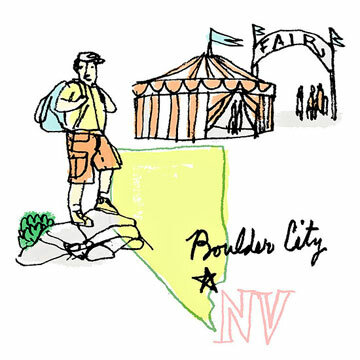 There are lots of wholesome activities, whether it's Friday night football, the Spring Jamboree festival, or hiking, biking and boating at nearby Lake Mead. One of the family's favorite treks is the spectacular trail through White Rock Canyon. "It's like being in an Indiana Jones movie," says Angelica. "At first the canyon walls tower so high above you, but then you come out at the Colorado River, where there are hot springs and the rocks turn red and purple at sunset. It's awesome." Good Deeds: Lend A Hand of Boulder City assists senior citizens by driving them to appointments and helping run errands. Last year volunteers logged more than 5,000 hours of service. Wendy Gomez, 44, has fond memories of growing up in this leafy Columbus suburb, where life revolves around family. These days Wendy, a gymnastics school owner, and her husband Jeff, 44, a financial advisor, are re-creating those happy days with children Kate, 13, Jen,11, Lauren, 9, Allie, 7, and Jake, 5. On the Fourth of July, for example, when volunteers commemorate Paul Revere's ride by driving through town urging residents to wake up and head over to the big parade, Wendy rouses the kids—just as her parents did—and gets everyone out the door. Other traditions include signing up for the bike races and Wiffle ball tournament at the Labor Neighbor Day celebration and taking a horse-drawn carriage ride every Christmas. Education was first-rate in Wendy's day, and still is. A cochair of the elementary school safety committee, she says parents are so eager to help that there are often too many volunteers. "We have a lottery system to weed people out," she says. "What a wonderful problem to have!" 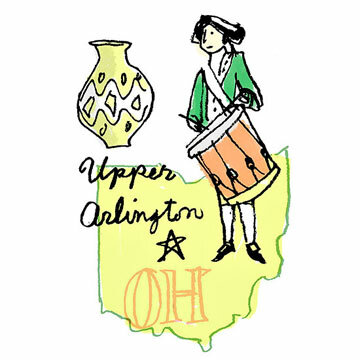 Good Deeds: Upper Arlington's Civic Association loves to party. Volunteers raise some $120,000 annually in private donations to fund gatherings such as the Easter Candy Hunt, Memorial Day Fun Run and Halloween Golden Bear Scare at Smith Nature Park. When Kelley Rowley, 47, and her husband Don, 49, an IT director, moved here in 1994, there were only about 25,000 residents, and shopping was so limited they had to drive out of town to get what they needed. The population has more than tripled, and the Rowleys, along with sons Ian, 17, and Isaac, 14, can now find everything they want at the local malls. With over 5,000 students, the high school is the third largest in Texas, but it's far from impersonal. Teachers work closely with students, who can choose from a variety of programs and pursuits. There's a new $60 million football stadium, a 1,500-seat performing arts center and a career technology program where teens can explore potential careers in business, engineering and more. When the Rowleys aren't at football games—Ian is in the marching band, and Isaac will join him this fall—they enjoy local events like the Fourth of July bash. 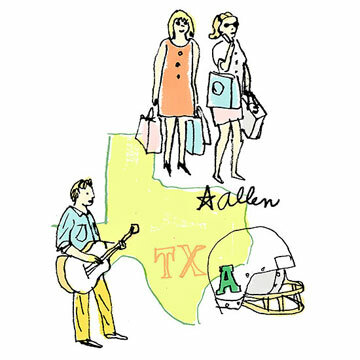 "Allen has changed so much since we first came," says Kelley, "but all for the better." Good Deeds: The Foundation for Allen Schools awards some $150,000 yearly in college scholarships and grants to public school teachers for innovative class projects. This year it raised $85,000 through a 5K and a family fun run. Judy and Matt Ramsey still remember the warm welcome they received after moving to this Cedar Rapids suburb in 1997. The doorbell rang again and again as neighbors lined up to introduce themselves, bearing cookies or a copy of the neighborhood directory, or offering school and doctor contacts. "The hospitality is genuine," says Matt, 46, an IT director. "If someone is building a deck or working on a home improvement project, other dads will help out or do another chore for you, like mowing your lawn." The couple is delighted with the top-notch education for kids Katie, 19, Matthew, 17, and Jack, 15, whose Linn-Mar school district is on the AP Honor Roll—one of only six in the state. 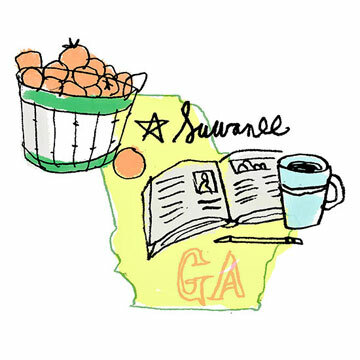 Marion also has plenty of family-friendly events that have become Ramsey traditions: concerts in the park, a big arts show in May and the fall Swamp Fox Festival, a weekend long event with music, a parade, crafts and a 5K run. "There's a true sense of togetherness in Marion," says Judy, 45, who runs a church youth program. "It's a wonderful life." 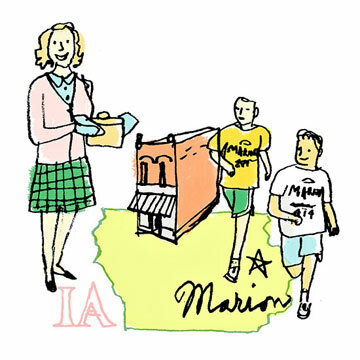 Good Deeds: Last spring all 645 of Marion High School's students participated in the town's annual service project, One Day in May, doing everything from planting trees to visiting nursing homes and helping seniors compile a written history of their lives. 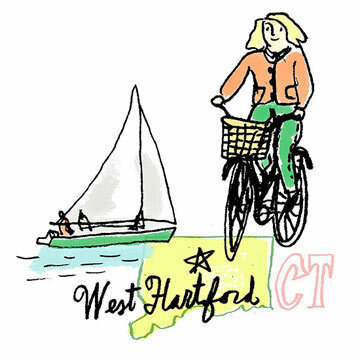 Located 4 miles from the state capital, West Hartford has a plucky, can-do spirit. After parents realized that special-needs kids wanted to play competitive baseball, they created a league just for them and made the sports field wheelchair accessible. "It's an engaged community," says Earl Exum, 44, an aerospace executive. "If people see a need, they fill it." For Earl, his wife Tammy, 46, and kids Evan, 16, Kyle, 14, and Jonathan, 7, this suburb is the perfect mix of big-city amenities and small-town serenity. Three universities are nearby, with concerts, art shows and plays all year. The high schools rank among the top 10 in the state. The Exums live near the West Hartford Reservoirs, a recreation area with 3,000 acres of forest land and 30 miles of trails. But the place they gravitate to most is their backyard. Last year parents gathered on the roof deck to celebrate the first day of school; after classes let out, the party turned into an all-day affair with the Exums hosting an impromptu cookout. "Our neighbors are all such generous people," says Tammy. "We were just paying it forward." Good Deeds: For nearly 30 years, West Hartford residents have donated some $250,000 annually in cash, food and supplies to The Town That Cares fund, which helps the needy by paying heating bills or rent or providing meals. Neil Lamb, a genetics educator at a biotech company, likes to boast that Madison is full of brainiacs. "When I tell people that our neighbors and friends are all rocket scientists, I'm not joking," he says. For Neil and wife Cynthia, both 43, the presence of so many high-tech firms translates into extra benefits for kids Preston, 15, Olivia, 13, and Emma Grace, 9. Robotics classes, math bowls and engineering design competitions start as early as elementary school. 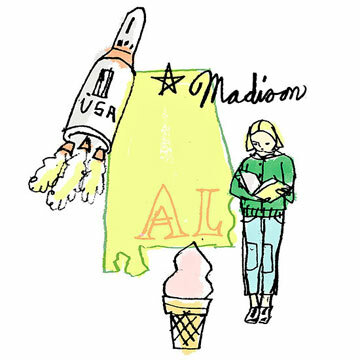 The district offers an abundance of AP classes, and for the last three years about half of Madison's high school graduates received college scholarships. There are also plenty of opportunities for fun, from street festivals to free summer concerts. The Lambs' favorite activity is biking (followed by a splurge at the ice cream parlor), and they're looking forward to visiting the new interactive kids' museum. "This is a town that thinks creatively, that is always asking questions and looking for solutions," says Neil. "How can you top that?" Good Deeds: Every Friday the school district teams up with local churches and businesses to provide food to low-income children for the We Care program, packing some 500 meals into students' backpacks to take home for the weekend. Random acts of kindness are the norm in this Albuquerque suburb. When a neighbor spotted Marilyn Velazquez, 38, on the roof trying to adjust her central air-conditioning, he raced over and climbed up beside her to help. "People here really believe that what goes around, comes around," says her husband, Carlos, 43, a sergeant with the National Guard. The couple moved to Rio Rancho in 1998 for its affordable homes, but stayed because of the educational opportunities for sons Roberto, 15, and Adrian, 7. 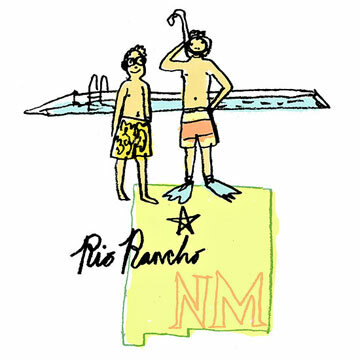 While the population has increased some 70% since 2000, Rio Rancho has invested in amenities like an indoor aquatic center, a 79-acre sports complex, 300 acres of parks and 70 miles of bike paths. "We have clean, open spaces, views of the desert and mountains, and life is peaceful and safe," says Carlos. "We've got everything." Good Deeds: When the parks department needed volunteers for the Rio Rancho Tree Steward program, scores of eager residents stepped up to water, fertilize, plant and prune. It didn't take long for C.J. and Carol Chun to become true believers in Southern hospitality. Shortly after they moved to this Atlanta suburb from Maryland in 2001, their church burned to the ground. Within days a Christian church opened its doors, giving the Korean congregation the prime Sunday morning slot in the main sanctuary. "There were no cultural or denominational barriers, just incredible support," says C.J., 46, a minister turned long-term care planner. He and his wife, Carol, 47, a translator, along with kids Karissa, 18, Timothy, 16, and Alissa, 8, love the easy lifestyle here—whether they're at the farmers' market or strolling along the Suwanee Creek Greenway, which connects nearly 400 acres of woods and wetlands. Local high schools excelled in AP exams last year, which Carol attributes to the teachers' dedication. Karissa's biology instructor met students at the mall's food court for study sessions, and Tim's chemistry teacher texted kids about impromptu study groups at local eateries. "You're living, not simply existing," says C.J. "I can't imagine a more welcoming place." Good Deeds: For Give Myself Away, a community project aimed at instilling a spirit of charity, fifth-graders sent care packages to soldiers in Afghanistan and toys to orphans in Haiti, and gave piano recitals at an assisted living facility. Supriya and Chris Rajkumar didn't plan on staying in the Midwest when a job relocation brought them here from India in 1995. But life in Morton is so idyllic they decided to stay put. Their commute to Peoria, where they have jobs in engineering and technology, takes a mere 15 minutes. "That perk alone has given us a much better quality of life," says Supriya, 42, including more time with kids Jeffrey, 17, and Jessica, 14. 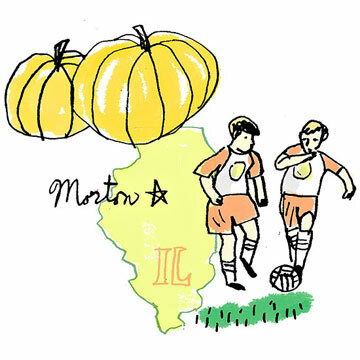 "They've participated in every sport from T-ball to soccer because it's so easy to drive from one place to another." The town cans 85% of the world's pumpkins and celebrates every fall with four days of parades, pageants, carving and, yes, pumpkin smashing. "Volunteers run everything, so it's a great way to get together with friends," says Chris, 42. "We never miss it." Good Deeds: The Morton High School basketball team dribbled a ball 10 miles to a Peoria children's hospital in a competition with a school from another town. The varsity teams squared off the next night, raising more than $20,000.